How to Get Current Wildfire Information for the Northwest U.S.
Wildfires are a perennial problem in the Northwest. With miles and miles of wilderness, Idaho, Montana, Wyoming, Oregon, and Washington get more than their fair share of major forest fires. Lightning ignites most of these fires, but not all. Poorly-attended campfires, train and machinery sparks, and tossed cigarette butts cause no end of problems during the Northwest's dry summer season. Once started, fires are subject to the whims of wind and weather. Major forest fires always affect regional travel and recreation in the Northwest. Uncontained fires block access to the surrounding area. The reduced visibility and air pollution that result from an active fire can range from inconvenient to life-threatening. 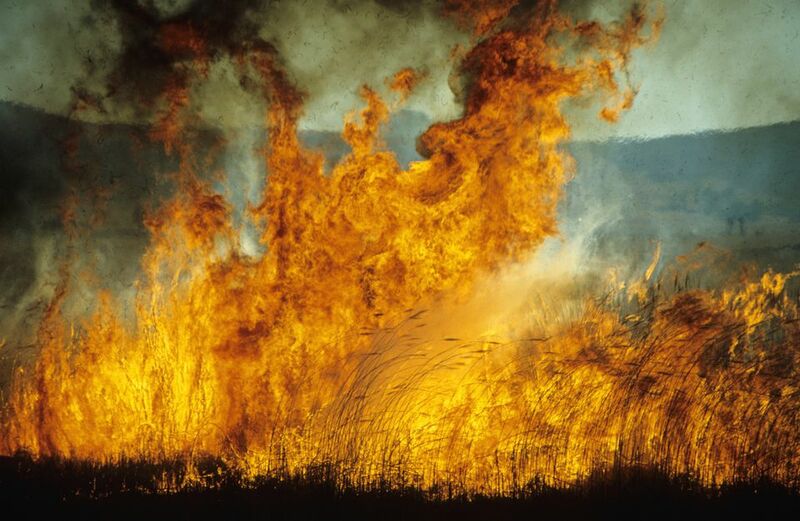 Even the risk of wildfires has an impact; campfires, barbecue grills, and firewood cutting are usually limited or prohibited during the dry summer months. Before embarking on a Northwest wilderness trip, check on the latest fire situation for that region. These resources will keep you informed of current wildfire activity in Idaho, Montana, Oregon, Washington, Wyoming, and other northwestern states. Social media can be another good tool for updates, make sure you use official channels. National Fire News: This is a listing of all the major wildfires in the U.S., including description, number of acres, and containment. National Interagency Coordination Center: You can get current and archived reports with detailed fire status updated daily. Idaho Fire Updates: This is good for current news, links to local and regional Idaho wildfire resources, and fire-related stories. Montana Current Fire and Drought News: This is a listing and overview of current fires in Montana's forests, with links to more detailed fire reports that include fire type, acres involved, and planned actions. NOAA Forest Weather Outlooks: Through the National Oceanic and Atmospheric Administration you can get the status on fires and atmospheric conditions. Current Large Incident Locations: The Department of Agriculture's U.S. Forestry Services does active fire mapping to track incidents throughout the U.S. The last thing you want is to be the cause of a wildfire. Keeping informed about the latest Northwest fire restrictions will save you from a possible fine or imprisonment. It will let you know if you need to avoid campfires or fireworks. These restrictions often called "burn bans" can save lives, including your own. Check to see if your state or the place you plan to visit has a restriction in place. Idaho, Montana, Oregon, and Washington state do have certain restriction depending on the area. If you live in an area that is prone to wildfires, then you need to be prepared in advance of a potential event. In the event of a fire in your area, it is important to stay tuned to local radio broadcasts. Prepare for evacuation at a moment's notice by gathering your ready-to-go bag with basic supplies, corral your pets, and removing any obstacles to a rapid escape. Wear sturdy shoes or boots, non-flammable clothing, a hat, and gloves. Anticipate that the electrical power will be out. If the worst happens, and you find yourself trapped in the path of a raging wildfire, leave if you can. If you are trapped call 9-1-1. Use N95 masks "duckbill" masks to keep dangerous particles out of the air you breathe. There are many agencies and organizations that play a role in fighting wildfires in the Northwest. These include the Forest Service Fire and Aviation Management, National Interagency Fire Center, National Park Service Fire and Aviation Management, Northern Rockies Coordinating Group, Pacific Northwest Wildfire Coordinating Group, and the U.S. Fish and Wildlife Service Fire Management.